Since 1945 the Oregon Orchid Society has aimed to share the love of orchids in Portland, OR with a focus on conservation, cultivation and education. Meeting in the heart of Portland at the Ambridge Event Center, we hope to spur your intrest in orchids, whether you're in Portland, the greater Portland area or anywhere else in the world. Click on a region above to learn more. Habitat restoration is occurring around the globe, but not nearly as rapidly as the development that leads to habitat destruction. Orchids, while appreciated by most everyone, don't enjoy the conservation focus that many animals have. Furthermore, they are not mobile, so they cannot migrate to nearby forestland when their local habitat is destroyed. This has led to considerable loss of orchid species in the wild - and in too many cases, extinction. The pop-ups for the regions above will have information on what's happening in each region in terms of habitat destruction and restoration. 2011 is the International Union for Conservation of Nature and Natural Resources' (IUCN) "Internation Year of Forests". Hear more about this initiative here. TO CLOSE POP-UP: Click the "X" at the top of the pop-up box or simply click outside the box. TO SCROLL: Use the browser scroll bar, mouse scroll wheel or up/down arrow keys. Mouse over flower images for names. Southeast Asia begins in the southern corner of China and extends down the Malay Peninsula towards the many islands of Indonesia. 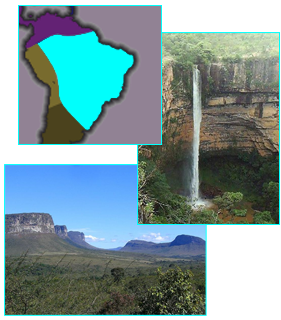 The diverse landscape is entirely tropical. 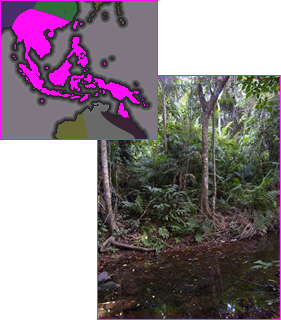 The great diversity of orchids in the region is, in part, due to the many isolated islands and slopes. The Malay Peninsula has two seasons: the monsoon season sees heavy rains and is countered by a dry season that many of its orchids prefer. Southeast Asian orchids are primarily epiphytic, so an airy mix or mounting is a preferred culture. Much of the region boasts warm to intermediate orchids as elevations range from sea level to above 10,000 feet - even up to 19,000 feet further north. Southeast Asia has many rapidly developing economies. This has led to large-scale destruction of its forested areas for lumber and agriculture. In the past, Southeast Asian governments tended to give little regard to orchid conservation and, as a result, a number of species are no longer alive in the wild. Today there is more effort given to orchid conservation, but large-scale deforestation is still a problem. Even where local governments have tried slowing deforestation, enforcement of such policies doesn't always exist. Vietnam and China do not follow the CITES program and, since the paperwork is not properly filed, the United States will not allow importing orchids from either country. The result is a rapidly diminishing native habitat and a prohibition of preserving species in cultivation in the US, though other countries have more flexible policies - allowing for ex situ conservation. The Carribean region sees distinct seasons and moderately high humidity. Some orchids, such as Tolumnia velutinum, live only off the humid mist that moves over the low-lying islands of the Carribean Sea. 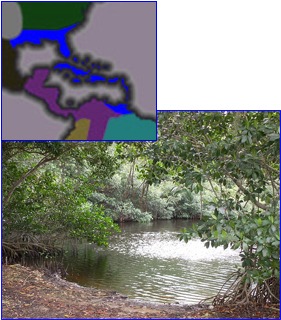 Many epiphytic species live in this region as well as a number of terrestrials, especially in the mainland US since the region has a remarkable diversity of habitats, from mangroves, lowland dry forests, karst and serpentine regions, pine woodlands, rain forests, and high-elevation dwarf cloud forests. A high level of environmental protection exists in the US and many of the Carribean Islands. Invasive species is always a concern - especially in well populated areas such as the Carribean and Southeastern US. Still, there are a number of species whose survival in the wild is threatened. This includes the diminutive Puerto Rican Lepanthes caritensis of which only 196 plants are known to exist on a total of 8 host trees (all in the Carite Forest Reserve). Another example of environmental threat is in Cuba, where populations of Broughtonia cubensis are disappearing due to development. Development and agriculture, as with so many places around the world, are the greatest threats to orchid habitat in the Carribean. Orchids in the Mediterranean region are terrestrials. The region is considered a "subtropical" region - adjacent to the tropics with distinguished seasons, but seasonally mild. Only a few regions of the world share this "subtropical" designation - the largest of these is in California. The topography of the Mediterranean ranges from sea level to the alpine reaches of the Alps. Depending on elevation, the contrast of seasons differs. Where snowpack is present throughout winter, orchids experience a long, dry and cold winter followed by a very wet spring and then a hot, but increasingly dryer summer into fall - a cycle that is difficult to replicate in cultivation. Many of the world's conservation efforts emanate from Europe so there are some strong environmental policies already set throughout this region. That said, the development that conservation groups attribute to habitat destruction in developing nations took place generations back in the Mediterranean region. Enforcement of environmental laws is essential for effective conservation. The Mediterranean has relatively stable governments - which aids effective conservation. 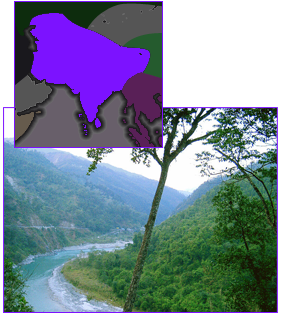 South Asia, also known as "the Indian Subcontinent", slopes from sea-level to the Earth's highest peaks. Orchids that grow in this region see distinct seasons: summer, winter, monsoon and post-monsoon. 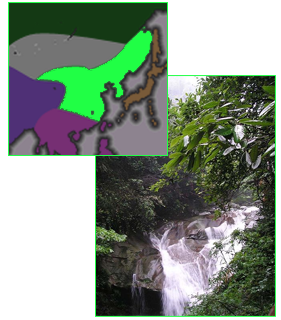 South Asian climate from the Indian Ocean to the Tibetan Plateau somewhat mirrors the Brazilian lowlands and their stretch to the Andes Mountains in that a massive orographic lift occurs at the farthest/highest reaches, creating a dense tropical forest. But only a portion of this region sees such a climate. 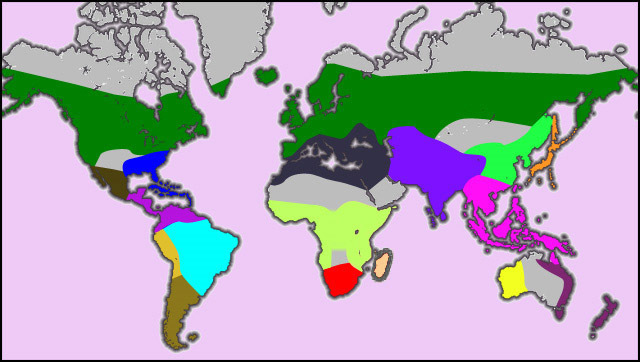 Across the region climates range from tropical to arid desert. 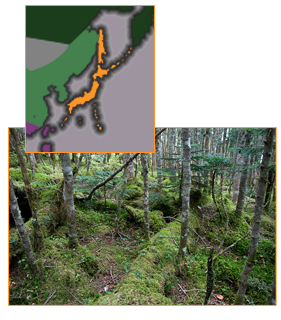 Both epiphytic and terrestrial orchids inhabit this region. According to orchidsasia.com, "deforestation through burning of forest trees and falling of forest trees for timber have been the major cause for the depletion of Indian orchid wealth. A large number of orchid species which were present in plenty in Indian forests are now at the verge of extinction and some of them have become so rare that a large number of botanical teams were unable to trace them. To cite an example Paphiopedilum druryi which was once found in plenty in Agastaya Hills in south India is now difficult to locate. Steps should therefore be taken to conserve this natural wealth." Also, long-standing instability in regional governments will not help conservation efforts as environmental laws (if they exist) cannot be enforced. Mexico extends from sea-level to over 18,000 feet in elevation. Over this span lives a large number of orchids. Probably the best known orchid species in this region is Vanilla planifolia, the plant from which we get vanilla flavoring. Many of Mexico's orchids grow relatively dry and are able to withstand long waterless periods. One can figure that this is the case if they see relatively large pseudobulbs naturally occurring on the plant. These function to store water, much like a cactus. 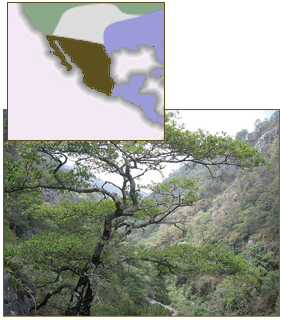 The dry areas of Mexico tend also to be open to sunlight, giving species from these places higher light requirements. Mexico's orchids are primarily epiphytic, but terrestrials are found there too. Over 1200 native species of orchids have been catalogued in Mexico. Many of these were only discovered in the last 50 years. Mexican law does include protection for many native orchids but some consider the laws insufficient. Threats to Mexican orchids include illegal collection and habitat destruction due to development. The cut-flower industry has a heavy focus on Laelia species which are used in some religious ceremonies. Laelia gouldiana, for example, is no longer found in most of its native habitat and can only be seen in developed areas in collections (often prepared for cut-flower purposes). A number of other Laelia species have seen a similar fate. 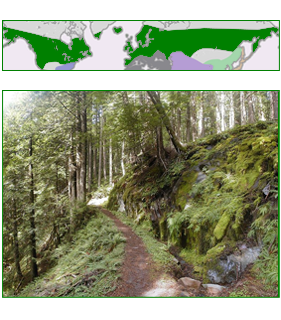 The temperate forests of the northern hemisphere are not what most people think of when they consider orchid habitat. Most people picture a tropical setting, but the temperate forests have a rich diversity of orchids, almost entirely terrestrials. Many genera span across North America, Europe and Asia, though specific species are usually unique. Many of these terrestrials require very specific growing conditions and sometimes live in symbiotic relationships with local fungi or trees making cultivation difficult to successfully achieve. Summarizing this large region's environmental issues is difficult because it spans many governments - some having less stringent environmental protection than others. 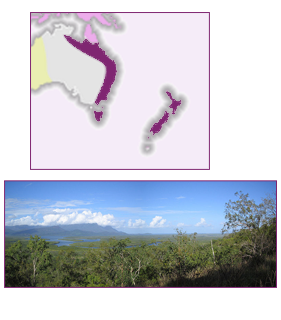 Much of this region is developed, so remaining orchid habitat can be limited but is, often, protected. Illegal collection is always a concern, especially with the highly prized Cypripedium species. 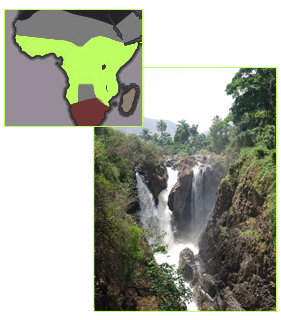 Central Africa is comprised of many different ecological regions. To the north is the massive Sahara Desert, expanding towards the south, and the southern reaches touch the Kalahari Desert. 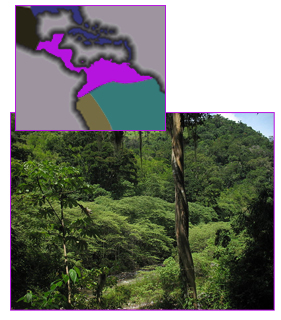 The heart of Central Africa is lush tropical forest. The equator runs through the middle of this region. This yields little change throughout the year in the diurnal cycle. Most of West Africa sees distinct wet and dry seasons. The naturally fragile environment of Sub-Saharan Africa has been subject to years of abuse, often by non-African governments and corporations. This abuse has been for the sake of everything from natural resource extraction to waste dumpage. Today, this region sees one of the fastest growing human populations on earth. Adding the political turmoil of Central Africa to this situation and the future for orchid habitat looks bleak. The expansion of the Sahara to the north is also a large concern. Many organizations are working to protect African habitat. While most of these groups focus on human development or Africa's unique animals, the goal of environmental stability can only serve to benefit orchids. Still, the best protection for orchids occurs when orchid-specific conservation efforts are present and Central Africa lacks any such concerted efforts. As with much of its flora and fauna, Madagascar is home to many orchid species that are found nowhere else on Earth. Its relative isolation has meant that, of the 1,000 or so orchid species native to Madagascar, 90% are found only on the island. One of these is the famous "Darwin's Orchid", Angraecum sesquipedale. Darwin, the founder of evolutionary biology, studied this and other orchids. Angraecum sesquipedale has a nectar spur that reaches 13 inches in length. He hypothesized that, since this orchid existed with such a long spur, there MUST be a pollinator (a moth in the case of Angreacums) with a proboscis long enough to reach the nectar. Twenty years later, his hypothesis was proven true and only a few years ago did that moth get captured on film (see video here). Orchids occur in all of Madagascar's ecological habitats, from coastal regions, to montane forests and high mountain tops. Sadly, this island nation has been subject to ongoing environmental degradation for a very long time. Each year, 1/3 of the island is burnt for agricultural "slash-and-burn" and 1% of the island's forest is cleared for forestry. 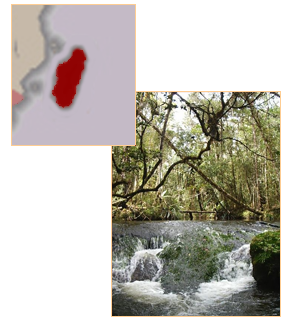 The rapid devastation of the land has caused Madagascar's rivers to run red from soil erosion. This erosion is so extreme as it runs into the Indian Ocean that astronauts have commented on its "bleeding" appearance from space. Even though more money is allocated to Madagascar in the name of conservation than any other African nation, this destruction has not stopped. Being an isolated place with plants and wildlife that only occur on the island, many species, including numerous orchids, have become or will likely soon become extinct in the wild. Like much of its vegetation, South Africa has very unique orchids - many of them not found anywhere else. For the most part, South African orchids would not be considered tropical and many, but not all, are terrestrial. 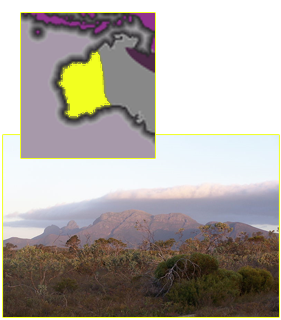 Oftentimes, as with the popular Disa uniflora, cultivation is complicated by the unique habitat requirements of many South African orchids. For example, this Disa grows along ice-cold mountain streams. They're always flowing and crystal clear (no salts) water and open to very bright light. Imitating this ecoclime of cold, clean water and bright light is a challenge. 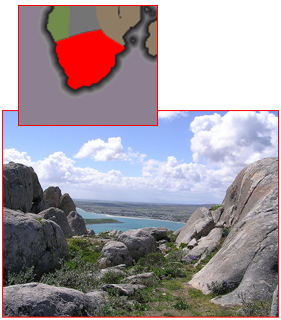 South Africa, especially when compared with many other parts of Africa, has considerable amounts of protected land. It is nonetheless, still seeing natural orchid habitat being threatened by housing sprawl, industrial development and road construction. Considering how unique South African orchids are, this is a great concern and a stronger focus on orchid habitat conservation in South Africa could be adopted. From the western slopes of the Andes Mountains to the Atlantic coast lies the great Amazon Basin, the largest drainage basin in the world. The Amazon is what we think of when we picture a typical jungle: hot, humid and densely foliated. While many orchids grow in this region, a large number of the orchids that we associate with the Amazon grow much closer to the Atlantic Ocean on land that is considerably drier. Cattleya guttata, for example, grows in the dry, beach-like environs of Eastern Brazil. Further south, where the distance from the equator is greater, seasonal changes include day-length rather than simply wet and dry periods and light can be a factor in triggering blooming. This applies to species such as Cattleya percivaliana. Despite its vast size, the Amazon is losing forest land at an alarmingly rapid pace. Fortunately, the Amazon is on the radar of many conservation organizations - some of whom are specifically focused on orchids. Brazil is still experiencing deforestation for development and natural resources at an alarming rate. Conservation groups, and the Brazilian government, show great concern for this problem. Much like conservation efforts in other parts of the world, Brazilian conservation tends to focus on animal species, treed habitat and indigenous people rather than specifically focusing on orchids. While these efforts will protect much orchid habitat, certain orchids can be overlooked. Since some orchid species are endemic to very small areas, these species could still see extinction in the wild. The Andes Mountains, particularly on the east side, where there is a great diversity of orchids, is a very unique ecosystem. The wet systems that move westwardly across the Amazon Basin are stopped by this wall of mountains that reaches over 20,000 feet above sea level. From the swift upward push of the Amazonian clouds against these mountains the "cloud forests" are born. These cloud forests are where most of our "cool growing" orchids live. They enjoy cold (50°-78°F) and humid days with bright indirect (diffused) light. While it does rain in the cloud forests, most of the moisture comes from the foggy clouds that pass over the land. Numerous local and international organizations have banded together and are working hard to save this unique region. Unlike typical conservation efforts, many of these have included a keen eye on orchid preservation. 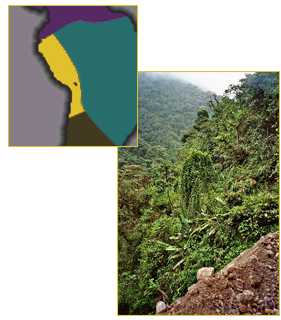 In Ecuador is the El Pahuma Orchid Preserve - a large swatch of land that focuses on preserving orchid habitat. The continued funding of such projects is done through donation solicitation and eco-tourism. Groups such as the Orchid Conservation Alliance further their efforts from the US with partnership and fundraising. Orchids date far back into Chinese culture. In fact, the earliest record of any human actually cultivating orchids in pots is of philosopher Confucius, who lived 2,500 years ago in China. Their culture highly reveres orchids for their beauty, poetic value and as medicine. 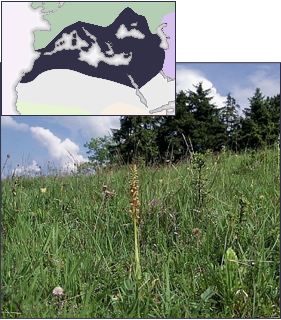 The landscape in which these orchids live varies, but most of the common ones live in woodland regions and many as terrestrials or terrestrial-like (growing at the base of trees in moss and/or humus). Some of the Chinese Paphiopediums grow on limestone cliffs and their culture is aided with oyster shells atop their mix. With Chinese population exploding, development is a major threat to orchid habitat but several other factors worsen the situation. The use of certain orchids, particularly Dendrobiums, as medicine has caused extinction in the wild for a number of species including Dendrobium officinale, used as an immune system booster. While recently there has been an increase in commercial production of these orchids, it doesn't undo their plight in the wild. A second factor that is problematic in orchid conservation is that China does not recognize the CITES permitting process. In most countries this is not an issue, but the US, a significant place for horticulture, has such a strict interpretation of the CITES document that all import of orchids directly from China is forbidden. Therefore, any orchid that is not known to be in cultivation somewhere else will be seen as an illegal plant. This has very negative ramifications when it comes to ex-situ conservation and that is a concern when the native habitat is being rapidly eaten up by development. Patagonia is a windswept place. 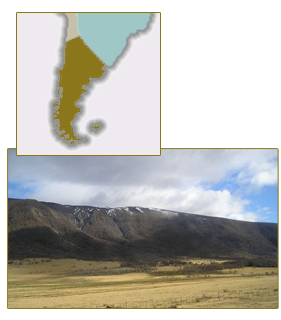 The intense climate of the southern Andes mountains creates strong winds that whip across the lower plains of Patagonia. These winds are cold and ferocious. The orchids that live in this region are terrestrial and can endure these chilling conditions. As with most terrestrial orchids, cultivation is a serious challenge because they are dependant on specific soil requirements and seasonal changes that are difficult, if not impossible, to mimic outside their native habitat. The largest threat to the overall environment in Patagonia is grazing. The ranching industry has depleted the natural vegetation at an alarming rate over the past decades. Local agencies have had some success in securing native habitat for conservation, but it is an ongoing struggle.